John‘s post, The Racists Are Complaining About Muslim Indoctrination In Their Schools, links to a very interesting article. Imagine a school homework assignment given to a middle-school student by a teacher requiring the student to write a letter to parent announcing that the student was going to convert to some religion or the other and giving the reasons why. Make sure you visit the link and read that too. Also, please watch the videos. If we don’t pay attention and fight for them, we will lose our children. Is that humanly or remotely possible, especially when a parent may be working two jobs to support the family? A private religious school impossible because the family has to pay high taxes to send their children to a public secular school? In my opinion, every public school should allow for a family to choose a religion class they want their children to be taught, in a public secular school. Most religious orders or ministries would probably agree to teach in a public school because of the high cost to run a private school. If a parent does not want their child to attend a religious class, that is their right and choice. I doubt people send their children to private schools so much to get an education in (whichever) religion as to keep them away from the adverse influence of anti-Christian values the rest of the day. A one hour a day religious class isn’t going to counter hours of instruction that runs contrary to those values the rest of the time. For example, it costs more per year to jail an inmate than for a child to obtain a college degree..
One religious moral learned by a child is worth a lot more in value that the alternative of teaching millions of children everything under the sun but morals that might dissuade them from making foolish decisions, in my opinion. If a child is not receiving any moral religious instruction is that not the “fault” of the parents at home and the spiritual support structure within the family? What you are doing — what Democrats have been doing for years — is trying to make Christians feel guilty. Democrats argue that that we have to have public education for the children. This a baldfaced lie, but few of us give it much thought. That is because we are almost all victims of a public education. Consider the basic assumption. We have have to have a government-run education for the children? We have to have an education system run by politicians, people nobody in their right mind would trust, for the children? Does that assumption really make any sense? Should we automatically assume politicians are bad people? No, but what is the reason for giving them so much control over education? For the children? That’s nonsense! Who in his right mind sets up a government-run monopoly when it is not needed? To make the teachers unions happy? Well, that is just about all it does. Private schools work just fine, and they don’t cost as much. They work so well that those who can afford it send their children to private schools. This is true even though these parents STILL HAVE TO PAY TAXES to support what are often much more expensive public schools. If we need to subsidize the education of poor children, that is a separate argument. Meanwhile, we are supposed to have freedom of religion in this country. If parents want to send their children to a school that helps them teach their children a particular religious belief, why would we want to stop them? Why do we have to set up a system that actively opposes their efforts? For the children? An education system run by politicians? Like Trump? Anyway, you didn’t answer my question… it’s not anything about making Christians feel guilty (God knows they do that enough themselves… but I digress).. to me it seems so damn logical and totally preferable as a parent for me to take responsibility in the religious education of my children. What’s wrong with that? Why is it the Christian right wing ideal is to hate government involvement in public education yet they are willing to concede that public education should include some religious doctrine?? Makes no sense. Frankly, the way I see it, the religious right wouldn’t ever be satisfied unless they turned the country into a Christian theocracy and the individual states becoming local caliphates. Your question is not relevant. What does a bully do when their victim complains? Don’t they blame the victim? Why is it the Christian right wing ideal is to hate government involvement in public education yet they are willing to concede that public education should include some religious doctrine?? If you ignore the law and history, it makes no sense. Our public schools were originally local schools that included Christian religious instruction. Then state politicians took over and now the Feds are trying to horn in. That vastly complicates is the problem of deciding what religious doctrine would be taught in a public school. If a parent has no religious morals, how can he or she teach their children might be a question you should consider based on the madness and folly we read and hear in the news every day. You’re suggesting public money teach religion in public schools? Again.. as I posted elsewhere, why isn’t religion taught at home to assure accuracy and consistency in the doctrine by which the family unit subscribes? I wonder if religious priests, nuns, ministers would do it voluntarily rather than funded. After all, every new convert might go to their Church on Sunday and donate in the collection. Interesting question though,. Someone might want to write a thesis or a book to weigh the concept. If you read and interpret the First Amendment, nowhere does it say a child has no right to a religion. Weigh that with the fact that they might be deprived of that right because the law says they must be schooled and even though the family pays high taxes, Federal, State, and Local, they are in many cases deprived from spending their tax funding to a school that teaches them religious morals. The concept was recognized by an ancient Roman Emperor` who wised up and decided they were crucifying the best citizens instead of the ones that may have needed to be crucified instead for thier deeds. I hope some day, we will wise up in the USA just like the Roman Emperor did. 1. Parents should ALWAYS know what’s in their children’s curriculum. That is the ultimate quality control for what goes into our kids’ head. No excuse. 2. Isn’t public school designed to be administered by the individual states in order to reflect demographic mores of the community? What school boards have authorized this? 3. You will “loose your children” if you fail to monitor what they are being taught, and not quizzing them on what they’ve learned. An school is not a babysitter. 1. Yes, but there is a basic assumption the school curriculum will meet a certain, appropriate standard. That’s reasonable, I think, considering this is an eight hour block of state-mandated education time. 2. The assignment was in England. But it wouldn’t surprise me if this happened in the US. If it were a Christian assignment, the ACLU and FFRF would be on them in a nanosecond. But I doubt that would be the case with an Islamic assignment of similar. I’d be even less surprised if they made an assignment to disclose an abnormal sexual orientation. 3. True. But they are in charge of students eight or more hours per day. See number one. One of my sons once had an assignment to read a book. It was a summer reading assignment when he had just finished fifth grade, and the book was the most misandric I’ve ever read. It mentioned the Vaginal Chronicles a lot, also. Unfortunately, I read it only after my son had read about half of it and told me it, “was a weird book”. I don’t quiz him on every assignment he has ever had. There are some practical limitations to that. Do you have kids, Doug? Three, girl in the middle.. all well into their thirties. I’m reminded of my oldest in middle school.. came home almost crying and upset one day.. VERY not like him. Well, turned out the teacher had a day of illustrating to the kids racial segregation. Not necessarily a bad thing… nor was what she did overly “bad” in that sense. She simply broke the class into group A and group B.. (mixed gender) and they spent the day where group A couldn’t do certain things.. and group B had all the “fun” and attention. My son was in group B. He sure learned and understood the concept. But.. given his response to it all I did mention to the teacher at a conference that the next time she plans on a rather dramatic demonstration that she notify the parents prior simply to allow for parental discussion afterwards to make sure all was well and proper lessons learned… and de-program as necessary. Quite obviously most parents were NOT as attentive to their kids as I was.. hence it was easy for the teacher to overlook parental involvement. Don’t disagree with the gist of what you are saying, but I don’t think you understand the problem. We need to consider what parental involvement means. 1. It is true that parents should ALWAYS know what’s in their children’s curriculum. However, there is a step before that. Parents should be able to trust the teachers and the people designing the curriculum. Politicians run the schools. Who trusts politicians? 2. 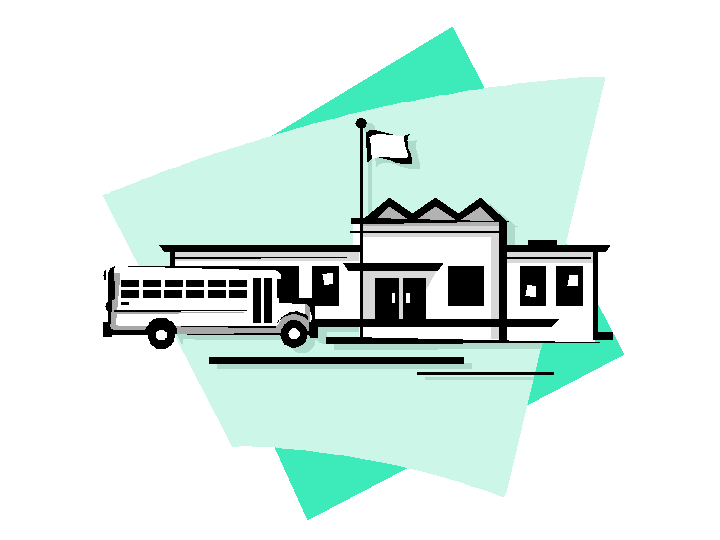 The public school system grew from one-room school houses run by local communities. These were parent run schools. Now Democrats are trying to Federalize the darn thing. Each decade parents have less control. In a private system we exercise control by quitting and taking our money with us. That is ultimate quality control. 3. It is not enough to monitor what the government teaches our children. We have to be able to stop the government and put someone else, someone we as parents have chosen, to teach our children. Government is force. Its service is all about stopping people from misbehaving and making them behave using FORCE. Putting people with that sort of power in charge of our education system is a very bad idea. Each decade the problems increase, and the benefits fade. I just don’t share the same fears of government that you do, Tom. 1. In one sentence you said we have to begin by trusting the teachers.. yet you turn that completely around by suggesting the politicians who regulate the teachers are corrupt. Maybe that was your point. 2. Well, no it’s not the ultimate quality control as it relates to curriculum content. What you are saying is more a matter of parental choice in defiance. Actually, if more parents went to private schools we’d have no need for public schools; obviously such a perfect world can’t happen… but in theory. 3. What you just said here is EXACTLY the current system in place to select regional superintendents and school boards. Tom.. the whole point is that parents MUST take far more interest in what happens in their schools in order to monitor and understand.. and most importantly, support your child with learning continuity at home. Absolutely the real world steps in and parents just don’t have the time.. especially single parent households and a parent working two jobs. Life is all about priorities.. and when we decide (or by “accident”) to have kids we have to accept the responsibility of raising them in the best way that’s possible. If the parent had a marginal educational experience while growing up then they are likely not to place much importance on a quality education for their kids. Those that do want a better education for their kids will make the time to follow up and monitor… but there has to be a balance in their lives to do so. Of course they can’t monitor the education of their child on a daily basis.. that’s just nuts. But there are passive ways to monitor.. like taking a little interest in the homework being brought home.. testing your child on what he’s been learning lately.. what interests him/her in school. Those things matter and take very little time. A smart parent usually can watch for signs and triggers in what their children do that might raise a concern. If you believe in the good education for your child then it’s not impossible… but the parent has to be a part of it… not just toss the kid into school as a babysitter. Trump. Yeah you trust politicians lots and lots. Anyone who reads your blog can see that. Private schools work just fine. They already exist. Nothing idealized about it. Did you know that 90 percent of Americans knew how to read BEFORE we had a public system? When we buy most things, we shop around for a private seller. Government then serves as a regulator, not a provider. When government serves as both the seller and the regulator, that creates a conflict of interest. We get messes. Over the years, when government has a monopoly, the product gets more costly and the quality decreases. That is because in such a monopoly system the buyer has no way to hold the seller accountable. It does not make any difference how smart you are if the seller can take your money from you, does not even need your permission. If the government had a monopoly on automobile production, we would all be driving Yugo’s. It would not make any difference how smart you are. What those parents who can afford it do is buy a house the school district they think has the best public schools. That is just about all the competition we have left, unless you are willing and able to dig into your pockets and choose a private school. That segregation assignment would’ve made me livid. My oldest went to a conference to learn about domestic violence when he was in high school. It was exclusive to boys, who were required to attend. There haven’t been too many times I’ve been up at the school to complain to administration but that was one of them. And I got that book (in the last example) taken off the reading list as well. To which I answered something along the lines of…Um, learning is kind of the point of school, isn’t it? I’d sent a child who never ate junk food to kindergarten, who threw candy away (or gave it away) on Halloween because he didn’t even like sweets…and by the end of first grade he was asking for cookies constantly. He’d learned to eat garbage in the eight hours a day at school. Now, I could’ve told him he was forbidden to eat it, but that would’ve made him stand out as “strange” and another thing one learns in school is social interaction. The above might seem a diversion from the topic but it isn’t, really. The point is, the public school system has a tremendous influence and it’s an influence of which they are very aware…the reason so much legislation revolves around it. That’s 12 years they get to influence your children, away from parents. On the bright side, homeschooling is a LOT easier than it once was, with the advent of technology. I think that’s the future as more people tire of the adverse influence on their children from extremely liberal teachers mandating these types of assignments. And society will become more and more divided as value systems conflict. The First Amendment includes freedom of assembly. That implies that we can organize with people of like mind. We get to choose our associates. The public school system is an example of how busybodies make that difficult. They don’t want any substantive discussions outside their control. Christians are suppose to separate themselves from practices that they do not believe glorify God. Many wish to use the public school system to make our children sinners just like them. These think it highly important that we all think alike and know how to “relate” to each other. The notion that some beliefs are superior is repugnant to this crowd, particularly when they disagree. You know… your local school board is about as grass roots government gets. Yes, there are some government mandates to assure educational uniformity and you can debate that all you want. But it’s relatively easy to make your voice known and even run for school boards. Any politics that exist there is more about personalities vying for social status and not the party politic. You are right and wrong. The school board is just about as grass roots as it gets, but there are two problems with that assertion. 1. The obvious problem is the sheer size of many “local” governments. 400,000 people live in my county. I participate in the local party, and I have met many of the people on the School Board, but most people never do. 2. The public schools are funded with Federal, state, and local dollars. Each of those funding sources comes with a complex rule set. That effective puts four levels of government in charge of the public schools: Federal, state, local, and a school board. If a foreign nation had tried to imposed that mess on us, we would be at war. Since we did it to ourselves, however, it is supposed to be great? No. This is a problem that clearly needs to be fixed. The whole “diversity is our strength” meme has contributed to the perception that practically everything is random, including cultural and moral values. Which has led to the false conclusion that no set of values is better or more useful than another. Which is why we often get some very conflicting messages (even from Christians)….see the whole “rush from judgement” paradigm, as though having a sense of judgement or accountability is a moral failing in and of itself. To state the obvious, it’s kind of hard to maintain any moral foundation or value judgment without a….foundation or judgement.